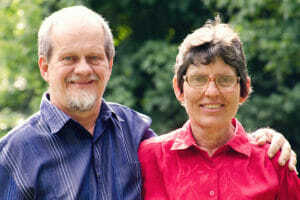 Missionaries Martin and Joan Weber served among the Kwanja people of Cameroon for many years. While mentoring the translation team, they also dedicated their time to training literacy teachers and developing audio Scripture materials. The Kwanja New Testament was published in 2006. They continue in Cameroon working through LBT under the Cameroon Lutheran Church, to equip and encourage nationals in Bible translation, literacy and using the Scriptures in seven language projects. They mentor nationals, who are translating Old Testament lectionary readings, promoting audio Scripture listening programs, and promoting literacy programs. Their role is to enable, equip, encourage, “envision” and empower Cameroonian workers that God’s Word will reach people in their heart languages. Martin and Joan have a passion to see people from the many language groups in Cameroon continue in God’s Word that they may truly be His disciples, to know the truth, and be set free. LBT is seeking Lutherans to serve overseas through the ministry of Bible translation and Scripture Engagement. If you feel that God may be leading you towards missions or if you wish to make Bible translation donations for a missionary, LBT may have a place for you. IS IT TIME TO DO SOMETHING? If you feel that God may be leading you towards missions as a career, we may have a place for you. If you wish to make a financial contribution to Bible translation, you may do that here.